Women over 40 need vitamins such as Folium, Calcium or Ribose to combat the effects of aging. 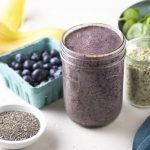 In most situations, their diet can suffer from a low level of vitamins, especially for the working woman who needs to maintain an active lifestyle. This lifestyle may not be the easiest to ensure a balanced vitamin intake. 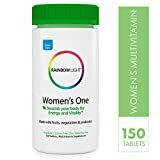 Unlike multivitamins which are made for women of all ages, specialized products for women over 40 come with higher levels of vitamins and minerals such as Calcium, which begins to be harder to absorb with age and which is often connected to issues such as osteoporosis or bone problems. There are many vitamins which can be prioritized for women over 40. Most of them can be at the same level as they would be for younger women but some vitamins are recommended by specialists to combat the effects of aging. Folate and Calcium are among the most important. 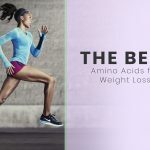 At the same time, an added blend of amino acids or digestive enzymes can work for better absorption in the conditions in which the body starts to show signs of aging. Among the most essential vitamins, Folate plays a crucial role. Being part of the B vitamins family, it is one of the most recommended solutions when it comes to cognitive help and diminishing symptoms of depression. Folate can be responsible for improvements in mood and cognition. In some cases, it has been proven to work with other brain-related aging issues. Some of them are lesser known while others refer to issues such as Alzheimer’s and dementia, which can increase in risk together with aging. Other women-specific problems can benefit from folate. Among them is the issue of pregnancy over 40, which is always a risk. But the problems which can arise from pregnancies in this age group can be tackled with folate, even if supplementing with it may not come with certain results in all cases. 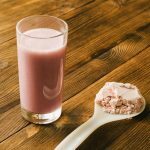 Among the most popular minerals which are used in modern multivitamins, you can find the much-discussed Calcium. Its role for women over 40 is remarkable. It can fight poor bone density, digestive issues, and joint problems. In some cases, Calcium can also be hard to absorb, even if your diet is on point. It is why women over the age of 40 can experience significant problems which can increase with aging. If you are an active woman, Calcium is even more important. In order to sustain your joints, Calcium is among the most important minerals to consider. In many cases, in the combination with Vitamin D, Calcium represents one of the leading solutions for better health for women over 40. It is even sold separately as a result. But in the right combination with other vitamins, it can be among the most interesting solutions to work with to combat the signs of aging. Digestion is among the essential aspects you need to consider with all types of vitamins. Some women cannot see the full benefits of vitamin supplementation and it can be a problem caused by poor digestion. This is why you need to pay attention to the products which come with probiotics. Boosting the good bacteria in the gut, they play a role in the breakdown of the vitamins and of other nutrients from food such as carbohydrates and protein. This all-in-one solution is also recommended when it comes to practicality. Instead of purchasing probiotics separately, you can combine them with vitamins and supplement from time to time. The higher the quality of the vitamins, the better your absorption needs to be to make the most of them. Vitamins which come with organic sources are often paired with probiotics. It is why you have the ability to choose the products which work for the budget you have. As with many organic multivitamins, you should also ensure that your diet is on point. It is actually advised by the manufacturers to use supplements when you already have a healthy diet to see the best results. It is rare for doctors to advise the use of the most expensive multivitamins, but women over 40 who want a complex solution can also take the opportunity to improve digestion and the absorption of the vitamins and of the minerals. Joint and hair health is an issue for women over 40. It is recommended to consume healthy fats from various sources if you are a woman. But as you age, you also need to ensure you maintain good mobility and healthy joints. Fish oil is among the most recommended source of healthy fats. However, the main issue with the fish oil is that it is not used in all multivitamins as it also changes the texture and the taste of the supplement. But if you are able to find a product which also comes with fish oil, you can consider it for the health of your joints together with Calcium and Vitamin D.
At the same time, fish oil is known for its skin benefits. 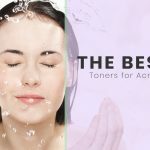 As your skin can also show signs of aging, it is essential to allow yourself to consume the right ingredients for a skin which looks and feels healthier and which is more elastic as well. Additional steps such as drinking plenty of water can help as well. Vitamin A is among the most essential vitamins for all people. Women over the age of 40 may start to see the first signs of vision problems. It is usually complex to improve vision. But at the same time, there are solutions such as Vitamin A which can slow down the effect aging has on vision. Make sure the Vitamin A in your supplement also comes from quality sources as you will need it to maintain great vision through the years. Women are constantly concerned about the effects of aging. This issue starts to be dominant over the age of 40 when you start to see your body changing and your metabolism slowing down. Antioxidants fight free radicals and they can be the best tool for this problem. The best sources of natural antioxidants come from organic sources such as fruits and vegetables. 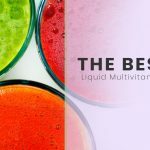 Many multivitamin manufacturers who source their ingredients from these foods will also inform their customers and this makes the ingredients more transparent. The Garden of Life Multivitamin for Women comes with a complex range of vitamins, minerals, probiotics, antioxidants and raw ingredients for immune system support. This makes the supplement one of the recommended solutions if your budget is not an issue. With added iron and iodine, the multivitamin is one of the most recommended solutions when it comes to better health, even in the conditions in which you are an active person. The minerals can play an essential role in the support of muscle function and they will also prove to be a solution to delay muscle fatigue. The supplement is a recommended solution for healthy living over the age of 40. Women can benefit from the added quality of vitamin and mineral intake with the product which comes with Folate and other B vitamins, Vitamin A, selenium, copper, Vitamin D3, etc. It is made free of all the of the harmful ingredients seen in low-quality products such as GMOs or gluten. But most importantly, it comes with a blend of vitamins and minerals which are recommended for healthy living. The supplement is one of the complex solutions for women who need extra support for vision and immunity. 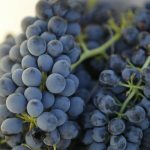 With silica and blackcurrant extract, the product can be among the recommended solutions to use if you want to support your vision and the effects on it from aging. The product is among the few solutions which come with a time-release formula. It works well to ensure a steady flow of vitamins and minerals through the day. At the same time, the multivitamin represents one of the most interesting solutions when it comes to joint health. Some of its ingredients also include superfoods such as spirulina, beetroot or spinach. Sourced organically, the ingredients are recommended for better vitality and an added antioxidant intake. Optimum Nutrition is one of the leading brands in the supplements industry, especially for active people. It is also one of the most trusted brands in the industry. Opti-Women is one of their products which is specifically made for women, as its name suggests. Made in a formulation with gummies, the vitamins are among the fun solutions on the list. They are easy to consume and they also taste great. The extracts come from organic sources and foods such as guava, curry, garlic or basil. With these extracts, it can come with extra energy which is recommended when it comes to maintaining vitality. 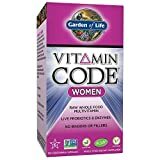 As one of the most interesting products, the Garden of Life Multivitamin for Women comes with a complex range of vitamins, minerals, probiotics, antioxidants and raw ingredients for immune system support. This makes the supplement one of the recommended solutions if your budget is not an issue. It comes with all the vitamins you need such as Calcium, Vitamin A, Folate, and iodine. As many products from the manufacturer, it also comes with a digestive enzyme blend. It represents one of the leading options when it comes to better absorption rates. When you consider the organic source of ingredients, it is really worth investing in the extra ingredients formulation which ensures your body is actually able to digest and absorb the vitamins. 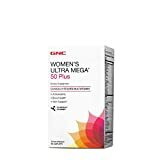 With an added fruit and vegetable blend, the product is among the leading options for quality targeted supplementation for women. 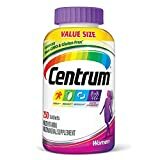 Representing the best solution from Centrum for calcium and Vitamin D intake, the multivitamin is one of the leading solutions when it comes to better health. 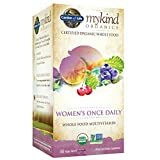 It does not include any added fruit or vegetable extracts which could be used for extra energy, but it comes with plenty of folate and minerals to support the needs of most women. With added iron and iodine, the multivitamin is one of the most recommended solutions when it comes to better health, even in the conditions in which you are an active person. The minerals can play an essential role in the support of muscle function and they will also prove to be a solution to delay muscle fatigue. At the same time, the supplement is among the solutions which are used for a healthier skin, which is also recommended for most women under 50 who start to see diminishing elasticity and vitality of the skin. 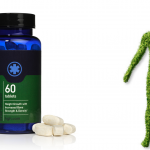 The supplement is a recommended solution for healthy living over the age of 40. Women can benefit from the added quality of vitamin and mineral intake with the product which comes with Folate and other B vitamins, Vitamin A, selenium, copper, Vitamin D3, etc. It is not a product which comes with digestive enzymes but it offers the basic vitamins and minerals your body needs to function at best parameters. MegaFood invests time and resources into developing leading products. 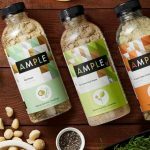 Since there is no health-based on supplements alone, the product also does a great job of informing women about the foods which need to be consumed every day for their real nutritional value. 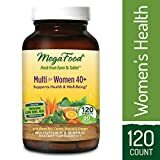 There is a surprisingly small number of the manufacturer which actually advise on specific foods to eat as well and this is why MegaFood can be the manufacturer to offer women the best return on investment, even if the multivitamin is not the most affordable. If your main concern lies in the health of your skin, hair or nails, the supplement can prove to be an interesting choice. It is made free of all the of the harmful ingredients seen in low-quality products such as GMOs or gluten. But most importantly, it comes with a blend of vitamins and minerals which are recommended for healthy living. With a short list of fruit and vegetable extracts which include 10mg of Kale and 10mg of raspberry, it can also be one of the solutions to see long-term skin benefits with its added antioxidant action. The product is recommended for women seeking to improve their skin and to slow down the effects of aging on the skin. At the same time, it is one of the products which are recommended for chromium and magnesium intake as well. Interestingly, it is also available in versions with or without iron and this makes it a true option for all women. If you are unsure about your iron recommendations, you can always discuss the issue with your doctor. The supplement is one of the complex solutions for women who need extra support for vision and immunity. With silica and blackcurrant extract, the product can be among the recommended solutions to use if you want to support your vision and the effects on it from aging. At the same time, you can use the product for circulatory support. With different plant extracts, it is one of the products which also aim to boost your circulatory health. But the product also comes with a blend of antioxidants. It is why it can be among the solutions to use when you want to combat the effects of aging. But its core formulation is based on vitamins and minerals. This is why it comes with Vitamin A, C, D, E K, and B complex vitamins. With added minerals and probiotics, the supplement is among the leading options when it comes to better digestion. With improved absorption rates, it can be one of the multivitamins which are used holistically and which are made to support health at different levels, even when it comes to issues such as aging or hormone balance. The product is among the few solutions which come with a time-release formula. It works well to ensure a steady flow of vitamins and minerals through the day. At the same time, the multivitamin represents one of the most interesting solutions when it comes to joint health. It comes with all the vitamins you need plus fish oil. It recommends it for better joint mobility which can suffer from aging and a lack of physical activity. With folate and calcium, you can ensure your bone health is up to standard as well. The product also comes with Vitamin D3 to make the calcium truly efficient. At the same time, it represents one of the recommended options for the B complex vitamins which are present in high concentrations. With direct benefit for brain health and hormone balance, the vitamins represent a top solution for most women. However, not all ingredients in the product are actually required every day and they can only come with an antioxidant support role such as the extract of Wild Yam. Made with a formulation for women, the supplement is among the most interesting solutions to consider. It even comes with a vitality blend and this makes it one of the leading options when it comes to extra energy. Some of its ingredients also include superfoods such as spirulina, beetroot or spinach. Sourced organically, the ingredients are recommended for better vitality and an added antioxidant intake. With a formulation which also includes a digestive support blend, it represents one of the most interesting solutions to work with, especially for those women who may already experience digestive issues and who might be able to see some improvements in this area. The supplement also comes with the required vitamins to consume every day. Among them, the calcium and Vitamin D represents a necessary solution for better health. Even more, they are able to support joint and bone health at an age where the first issues may arise in this area as well. Optimum Nutrition is one of the leading brands in the supplements industry, especially for active people. It is also one of the most trusted brands in the industry. 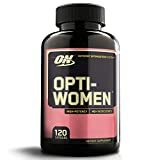 Opti-Women is one of their products which is specifically made for women, as its name suggests. With all the vitamins you need which include riboflavin, niacin and folic acid, it can be a top product for the best health. Even more, it comes with different plant extracts which include Dong Quai, Garcinia Cambogia, and grape seed extracts to maintain a youthful and healthy life. Not all plant extracts come with proven benefits, but most of them are used traditionally in different parts of the world for health benefits, such as the Garcinia Cambogia extract. With a balanced formulation, it offers one of the premium products which are available for most budgets and which are specifically made to sustain the health of women. But beyond the texture, they are also inclusive of vitamins such as A, B12, B6, C, D, E and Folic Acid. 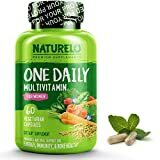 The multivitamin is the solution from Garden of Life which is recommended for vitamin and minerals supplementation and which also works great for extra energy. It is why the manufacturer added different fruit and vegetable extracts to allow the product to become an interesting choice for women over 40. The extracts come from organic sources and foods such as guava, curry, garlic or basil. With these extracts, it can come with extra energy which is recommended when it comes to maintaining vitality. Folate, biotin and Vitamin D are present in large amounts in the product. It represents one of the leading options when it comes to the specialized needs of women. Folate can work great for cognitive issues and it can be one of the main triggers of depression reduction or control. With the added Vitamin D, the product is among the recommended options for most women, especially with improved calcium absorption which can lead to healthier bones and joints. 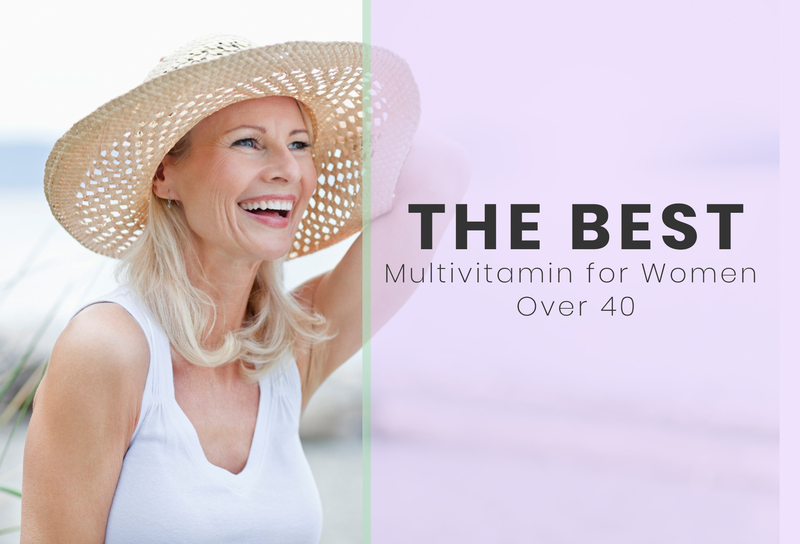 There are many multivitamins women over 40 can use for better health. But not all of them are right for you. The good news is that you can find simple vitamins and minerals or formulations with plant extracts, digestive enzymes, and antioxidants for a more complex approach to your daily needs.